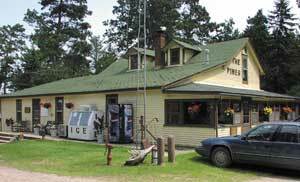 Your stay at The Pines Resort is sure to be one of your fondest memories of the northwoods. Since we are open year-round, we offer activities for all ages and all seasons! In the summer months, families enjoy our swimming dock secured in a sandy bottom with a gentle slope. You can lay on the dock soaking up the sun or hit the waves with a pair of water-skis or a tube. Are your kids adventurers? If so, you can explore the shoreline and the creatures that inhabit it from a kayak, paddle boat or a canoe which are free to our guests. 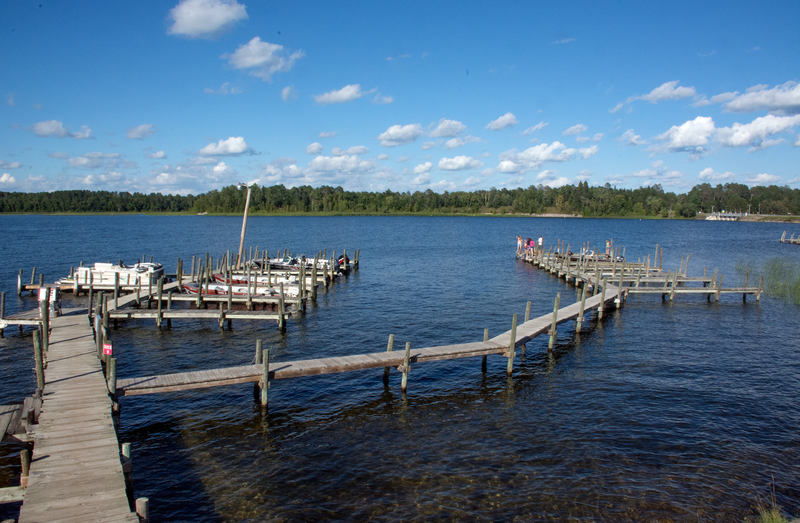 Lake Winnibigoshish is a world-class fishery so even fishing from our docks can be exciting - especially for the kids. Kids can have fun competing throuout the week with our fishing contests. No matter what your idea of the perfect summer day, you'll find it in the clean, clear waters of Lake Winnie. Kids of all ages can have fun on our pirate ship and playground equipment. A game of volleyball, badminton, croquet, bocce ball or washer toss is good for a little competition or just some relaxing fun! In all seasons Lake Winnie and the Chippewa National Forest provide some incredible opportunities to see wildlife in their natural habitat. 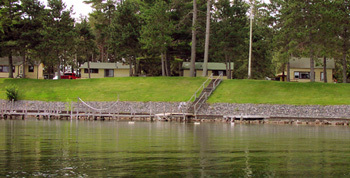 Out on the lake you are likely to see bald eagles, loons, osprey, herons, pelicans and songbirds. Hike or cross-country ski on the nearby trails and you might catch sight of deer, squirrels, chipmunks and a multitude of other small woodland animals. Occasionally you might even have the thrill of seeing black bear, wolves or a moose. 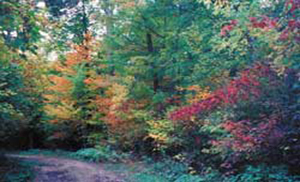 With a forest full of hardwood trees and pines - many of which are a hundred years old - you will enjoy nature at its best and most beautiful. ice cream treats for sale, which you can enjoy while playing a round of foosball or air hockey, reading a book from our lending library or while playing BINGO in the lodge. We sell groceries, necessities, ice and souvenirs and have a freezer available when you need it. We also offer a coin-operated washer/dryer set that are conveniently located onsite. After a long day of fishing, hunting and having fun, order a pizza from the lodge and let us cook for you! If you feel like venturing out, our area offers spectacular and interesting opportunities for site seeing where you can visit the Mississippi headwaters or learn about the history of logging and mining in Northern Minnesota. There are 18-hole championship golf courses and well-maintained public courses for the golf enthusiast and many unique shops and antiques stores for the shoppers in the group. 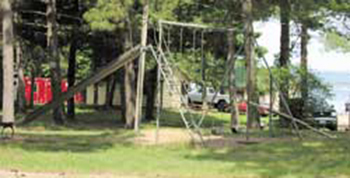 The Pines Resort offers something for everyone no matter what the age or the season. Call 1-800-342-1552 today to book a reservation for your next visit to the Northwoods.